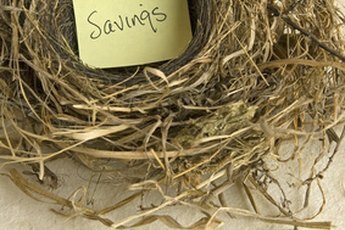 An IRA can be a great way to safeguard your future. It can also be a good way to take care of someone else’s future. A gift of an IRA is possible, so long as the recipient of your generosity – or, in more practical situations, your spouse – meets the Internal Revenue Service’s IRA qualifications. Before you write a check to a broker to sock away cash in someone else’s IRA, you’ll need to ensure they meet IRS qualifications for IRA contributions. A person needs to have earned income, such as wages or tips, before the tax man allows him to build up an IRA balance, and he can’t contribute more than he makes in a year. You’ll only be able to make your gift if the person is 70 1/2 years old or younger. You can also use a Roth estimator if you want to estimate how much the money you're contribution will be worth at the person's time of retirement. You can then make sure you're getting the best Roth rates. It's important to know, however, that you'll have a limit on how much you can transfer. For 2018, that amount is $5,500 or $6,500 if you'll be age 50 or older at the end of the tax year. For 2019, that goes up to $6,000, or $7,000 if you're over the age of 50. However, if your taxable income for the tax year was less than that, your limit will be equal to your income. 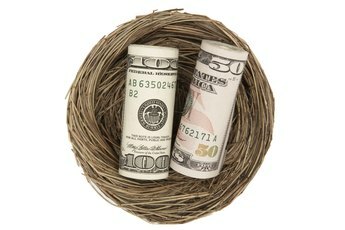 When you put cash into your IRA, you may be eligible to claim it as a tax deduction. The tax man won’t treat gift deductions the same way. You won’t be able to claim a deduction for the contribution, even if you got the best Roth rates available. The good news? The recipient of your gift can claim a deduction as a fringe benefit to your generosity. Gifts to another person’s IRA count toward your annual gift-tax exclusion, as long as they meet the IRS's IRA qualifications regarding gift taxes. If your IRA gift and the value of any other presents you dished out exceed your exclusion — which is $15,000 per person per year as of 2018 — you'll owe gift taxes for your generosity. Unless you plan to hand over a check as a gift intending that it’ll be used to fund an IRA, you’ll need to gather basic information about the IRA’s recipient. You’ll need to provide a broker or bank the recipient’s Social Security number, and it’s a good idea to discuss your gift before you make it to ensure that you don’t make a gift to someone who doesn’t qualify or already made a contribution for themselves. You should also do your homework ahead of time so that you can tell the recipient how much it will be worth, which includes using a Roth estimator. If you make a contribution that doesn’t meet the IRS’s rules, you’ll saddle the recipient with a tax problem. Even with the best Roth rates, this could be a burden in the short-term for a payoff in the long-term. If your gift goes to someone without income or who doesn’t otherwise qualify to make a deposit to an IRA account, the IRS treats it as an excess contribution, and hands out penalties accordingly. As of 2018, excess contributions – any amount above the amount a taxpayer is qualified to contribute – are taxed at a rate of 6 percent every year that they remain in excess of their allowed limits. There is a way to correct such an excess, though, by simply calculating the excess and removing it from the fund as soon as possible. The longer it remains in the fund, the more you'll pay in penalties.